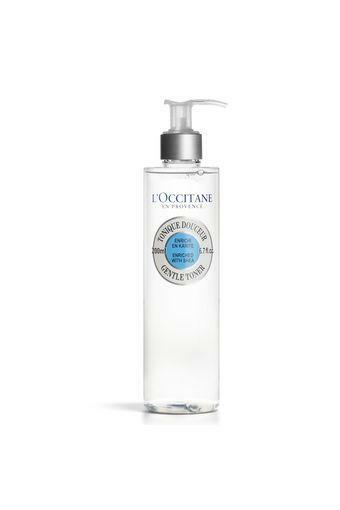 L'Occitane brings you this shea gentle toner enriched with skin softening shea and floral waters like orange blossom and cornflower. It helps in complete toning of the skin. The formulation is alcohol free. This will leave your skin clean and fresh. Look effulgent and youthful by using this shea gentle toner.